HIGHGATE United joint-boss Paul Smith has been left with plenty of selection headaches ahead of the start of the new Midland League Premier Division campaign this weekend. United, who finished third last season, begin their hunt for promotion on Saturday when Coventry Sphinx come to The Coppice Ground. But picking a starting XI for the encounter is proving difficult for Smith who has been left impressed by all of his players this summer who have guided the Gate to eight friendly wins out of eight. Alongside the cohort of last season’s squad, new boys Nick Seabourne, Sam Tye, Robbie Bunn, Sam Oji, McCauley Manning and Connor Deards have all fitted in well. While striker Lei Brown has returned from Walsall Wood he is missing for the Sphinx clash along with Aaron Brown who is suspended for the opening games of the season. “Picking the squad of 16 in the opening month is not going to be too hard as we have a few missing here and there but I am certainly having headaches over picking a starting XI,” said Smith. “I have been really impressed with how things have gone and I have had to try to keep the players’ feet on the ground because so far we have been playing some good stuff and scored some wonderful goals. “However, no trophies are handed out in the summer, they are handed out in May so it’s important we remained focused and get the job done. “Sphinx had a great season last year and they’ll be looking to improve so I have had them watched twice this season so we know what they are all about. Gate are then on the road to Sporting Khalsa on Tuesday night in what will be the Willenhall-based side’s first competitive game at their £1million revamped Aspray Arena stadium. Lei Brown is expected to return but Smith will then be without forward Marco Adaggio and midfield maestro Robbie Bunn who miss three and five games respectively due to holidays. “It’s not ideal that the squad is disjointed but there’s plenty of quality to cope,” added Smith. 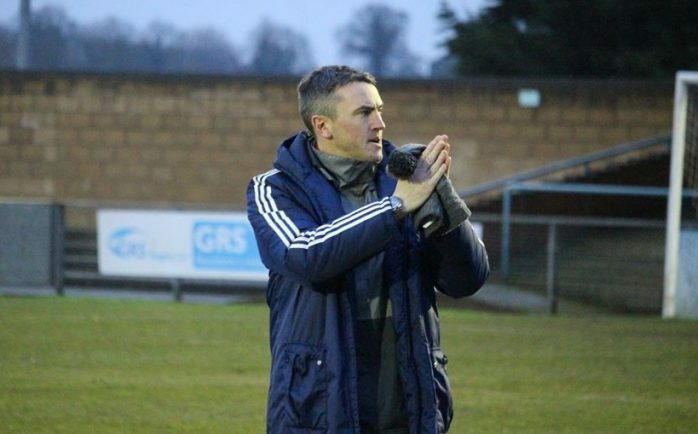 “I am very good friends with Khalsa manager Ian Rowe but that will go out the window for just 90 minutes. “I got asked who I think will be our major rivals this year and I believe the team to beat is Khalsa because they have recruited very well. Meanwhile, United have snapped up Curtis Revan from National League North outfit Leamington. The 22-year-old midfielder decided to depart the Brakes after discussing his future with boss Paul Holleran. Gate joint-bosses Smith and Ashley Pulisciano were alerted of his availability and moved in quickly to sign the former Derby County product.